Have you ever seen a smile makeover as drastic as this? This patient came to Agoura Dental Group in hopes to completely reconstruct his teeth. 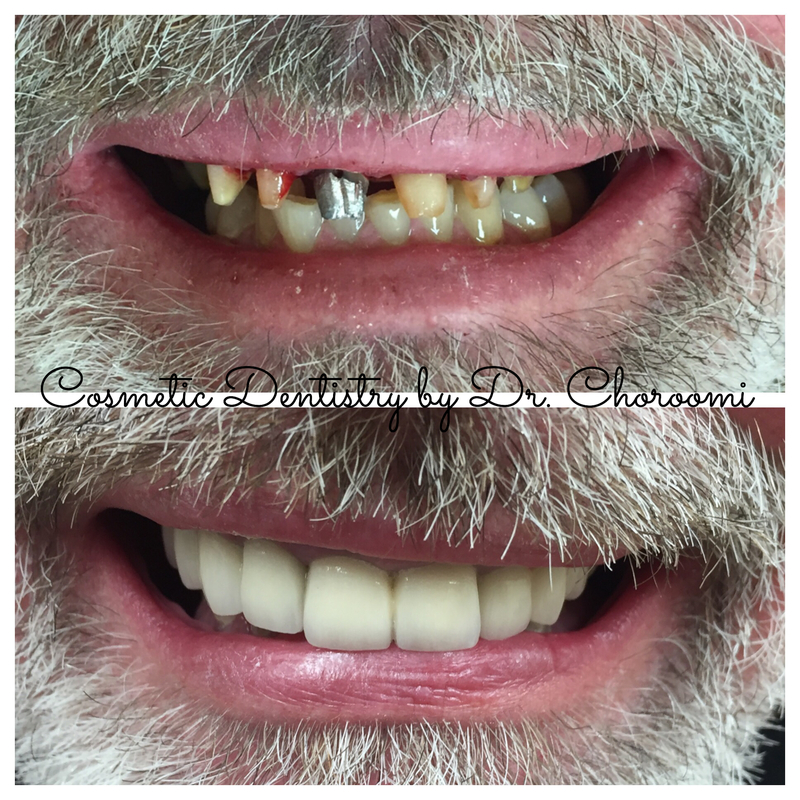 With a combination of advanced crown placement and bridges, Dr. Choroomi gave this patient a new and improved smile! Imagine the confidence boost that a change like this can bring. If you’re in need of a procedure and results like this, don’t hesitate to schedule a consult with us to see what our incredibly skillful Dentists, Orthodontists, and Hygienists can do for you. Even if you are not in need of such a major treatment, you can expect amazing and noticeable results to this same degree. At Agoura Dental Group, we specialize in Cosmetic Dental work such as this, and boast the best results along with the most accommodating experience for our patients. Our welcoming staff and experienced Doctors will provide you with a convenient, comfortable, and worth-while dental experience that you can count on. See more smile makeovers like this at https://agouradental.com/smile-makeovers-agoura-hills/ and contact us at (818) 706-2727 or https://agouradental.com/contact-us/ to schedule your consult today!